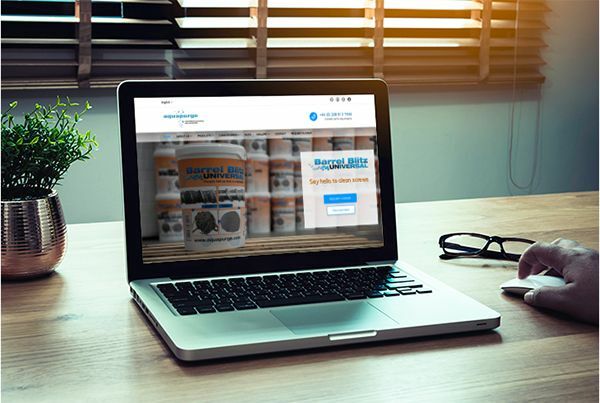 Leading purging compound producer, Aquapurge, gets 2019 underway with the launch of a brand new website. The new Aquapurge website is operational effective from today’s date and features a wealth of case study information; new videos and customer testimonials. The acid test for Aquapurge technology is that – unlike many alternatives – the company’s purging compounds succeed in completing stripping out all carbon black deposits from plastics machinery; rendering the production equipment as new. In keeping with Aquapurge’s expansion plans the new website is presented in four languages: English, French, Italian and Spanish. There is an intensive focus on the company’s three leading products, with descriptions, images, and downloadable brochure. Blog and news sections attest to the company’s commitment to share its views, news and research with the plastics processing community. A Gallery section will feature photos from recent events and a meet the team section will also be created. Aquapurge is one of the best-known names in the European Plastics Sector. For over 25 years the company has been researching, developing and producing the best purging compounds for the industry. Aquapurge relocated last year to a West London manufacturing site that effectively doubles the old factory footprint and was also a finalist in the prestigious annual Plastics Industry Awards (PIA). The company’s new facility boasts 10,000sq ft of manufacturing space and spacious 1st-floor office spaces and meeting rooms. These new Aquapurge operations have been tasked with delivering 40% annual sales growth from this point on. The company’s intention is to become a global leader in purging compounds within the next five years.